Whether or not you agree with Andrés Segovia’s description of the electric guitar as an “abomination,” his words reveal a deep conviction of the importance of the classical guitar. A celebrated performer of the 20th century, Segovia revolutionized classical guitar playing through his innovative technique of using both his fingernails and fingertips to produce a sharper sound. The brilliant musician has become internationally known for his emotional and artistic performances. If you are interested in music and want your child to play guitar, you should consider several factors, when deciding whether a child should learn classical, electric or modern acoustic guitar. You should consider the child’s level of interest, what he/she hopes to accomplish, and what you as a parent wish for your beloved one to gain. Consider the following information before making your choice! Music theory is the study of how music is created through the examination of the notation through which musical language is expressed, the patterns and structures within genres or time periods, and the various elements of music such as harmony, melody and rhythm. Learning applied theory for classical guitar is a challenging prospect that can either excite or discourage potential students. Though many beginners are put-off by the anticipation of this commitment, students who dare to commit to learning classical guitar reap exponential rewards with far reaching applications. Young students, who learn classical guitar theory, gain a strong foundation of knowledge that can be applied to other aspects of music. These musicians will essentially be limitless in their ability to produce beautiful and cohesive pieces. By encouraging your child to learn classical guitar, you are giving him or her musical tools to play captivating music for a lifetime. 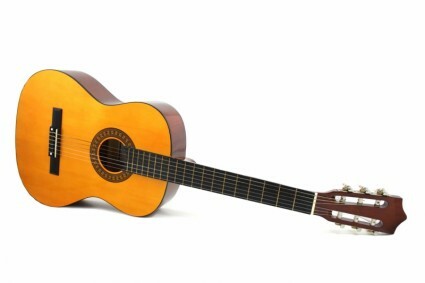 When playing classical guitar, musicians must pay careful attention to their posture, as well as to the movement and position of their hands and fingers. Classically trained teachers not only emphasize the best posture and positions for playing, but also show why these aspects are important. Practicing the controlled yet relaxed, compact yet fluid movements builds the student’s discipline and concentration. Hours spent practicing the precise movements required to produce the classical guitar’s delicate and expressive music ingrain in young students the concept that hard work can produce in great rewards. Through the study and practice of classical guitar, children learn that sincere effort can have copious benefits. Studying history of music does not just mean memorizing dates, events, or timelines. Learning history – any type of history – connects people to their past and provides “roots” and significance for their present-day lives. For the classical musician, learning the rich history of his or her instrument provides a sense of place and purpose within a larger story. Young students will follow the evolution of the classical guitar from its beginnings as an eight-stringed instrument in the 15th century to its present form. Following the classical guitar’s journey from its early importance within the courts of European monarchs to its current position as a source of entertainment and joy for audiences around the world, students will gain the appreciation for their instrument and their own role as a classical guitarist. The classical guitar’s strings are made of nylon, which are soft on little fingers and may encourage beginners to practice and attend lessons. In addition, the classical guitar does not require any type of amplification system. Even without an amplifier, the classical guitar produces crisp and powerful, yet delicate, notes that even the youngest student can learn to coax from their instrument. Players and audiences alike are captivated by the soulful and sensitive music, making the classical guitar a favorite instrument to play during gatherings of friends and family. When the time comes to select the first guitar for your child,you should carefully consider the benefits of a classic instrument over an electric one. If you are still undecided about which direction to steer your child in, call Trio School of Music, Dance and Languages! We would be happy to talk with you and guide you through this important decision.